As a child I remember having chocolate ornaments hanging on the Christmas tree and what a wonderful treat it was being allowed to choose one to eat! My own children love edible chocolate baubles too but instead of buying them we make our own! 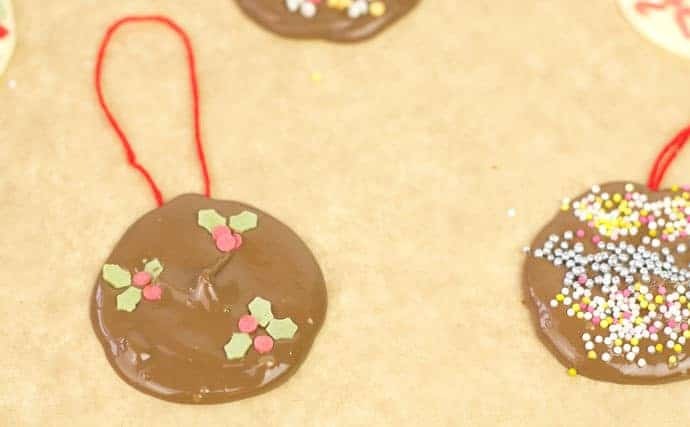 Homemade chocolate tree decorations are so much fun to make and so easy. It’s the perfect Christmas family tradition to start today. 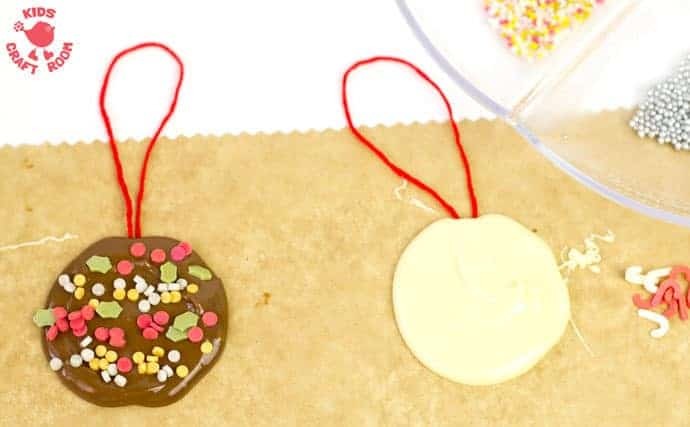 You’ll love how easy it is to make hanging chocolate baubles. 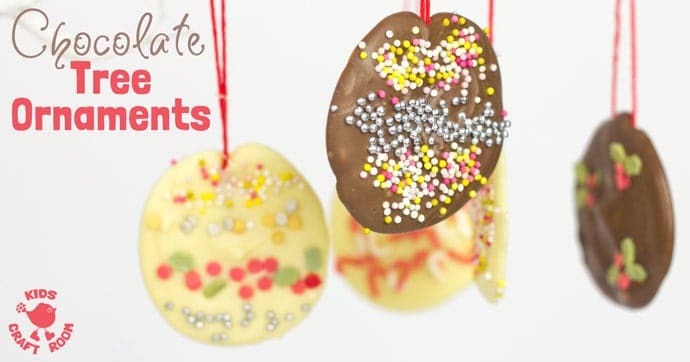 You’ll be wondering why you’ve never made your own chocolate tree decorations before! 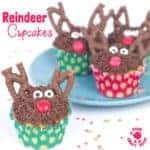 It’s a fabulous children’s christmas craft that the whole family can enjoy together whatever their age. Every year we make at least one batch of chocolate ornaments and often more! 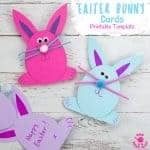 They make super gifts to give to friends and family and are a great christmas activity to make in schools and nurseries to sell at the Christmas fayre fundraisers too. 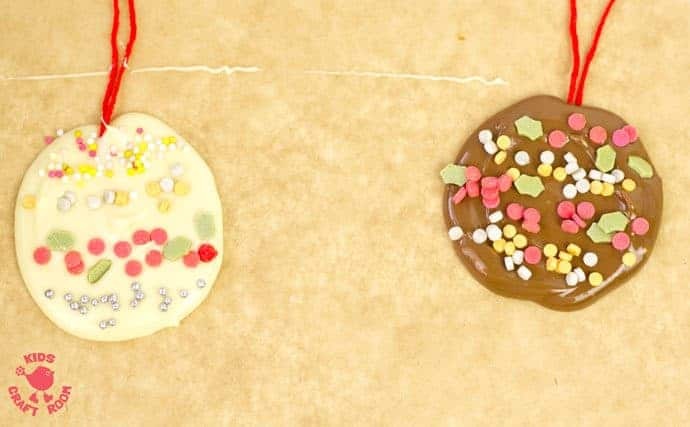 Before we get busy making hanging chocolate baubles you might want to bookmark or pin some other fun Christmas recipes to try with the kids. 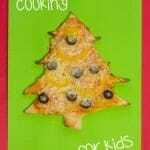 Christmas is such a great time of year to get kids busy being creative in the kitchen! A selection of Christmas cake decorating toppings such as sprinkles, hundreds and thousands, silver balls etc. 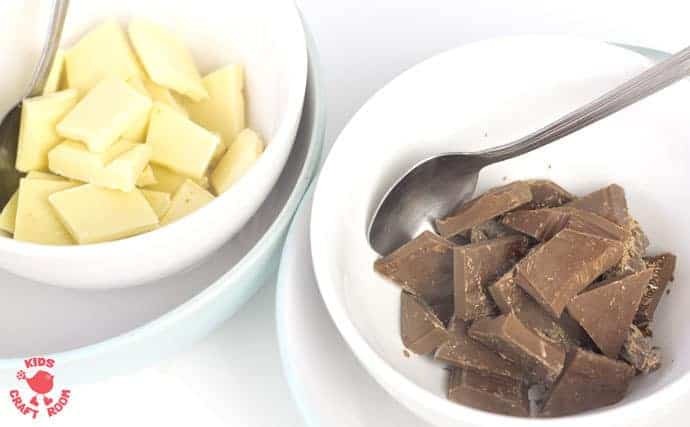 To melt the chocolate for your edible ornaments break it up into little pieces into a bowl. Then sit that bowl in a larger bowl of warm water until the chocolate melts. While you’re waiting for your chocolate to melt get the threads ready to hang your chocolate baubles from. Cut some short pieces of bakers twine and tie them together to form loops. 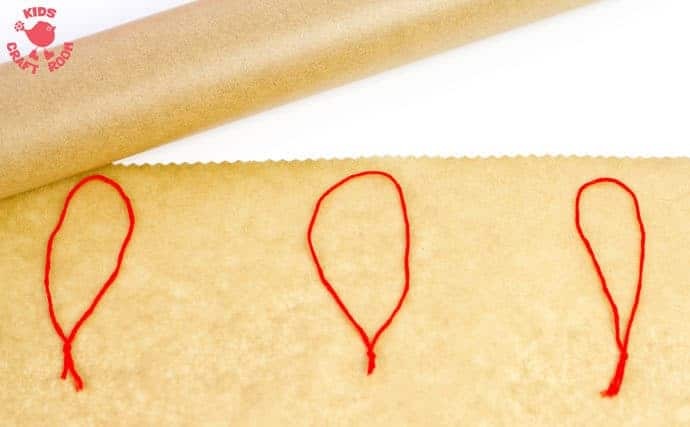 Lay the thread loops in rows onto the greaseproof paper about 10cm apart. 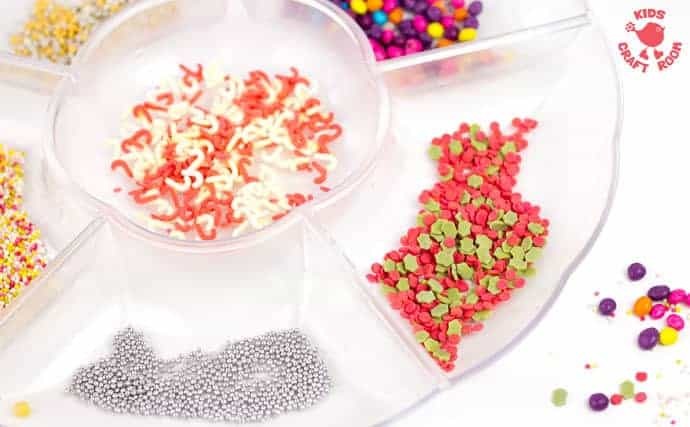 I love to offer my children lots of different Christmas sprinkles to decorate their hanging chocolate baubles. I find it much easier for them to manage if I pour them out into individual bowls rather than trying to get them out of fiddly tubes and packets. This multi section bowl is absolutely ideal and I reuse them for all sorts of activities and crafts. They’re a great way to keep lots of things accessible and on display without muddling them up. 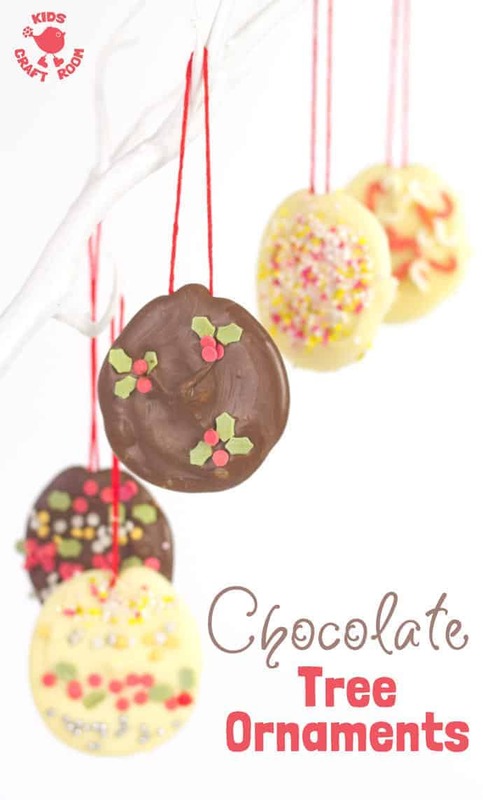 Once your chocolate has melted it’s time to get creative and make your chocolate bauble ornaments. This bit is so much fun! 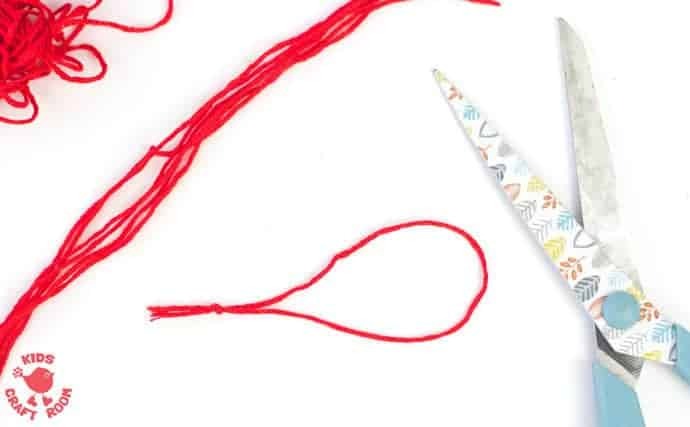 Simply spoon some melted chocolate onto the knot end of your thread loops and spread it out to make a bauble shape. 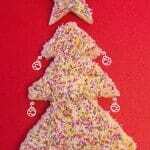 Before the chocolate sets add your Christmas sprinkle decorations. It’s best to just make one at a time because once the chocolate’s set you can’t add any decorations to it. Once your chocolate ornaments are finished, leave them to set fully for an hour or so. When your chocolate tree decorations are fully set you can hang them on display or wrap them up as a gift. Don’t these hanging chocolate baubles look great! I hope you and your children enjoy making and eating them as much as we do. I love hearing your thoughts. Leave a comment below, come and chat on Facebook or sign up to our email updates. 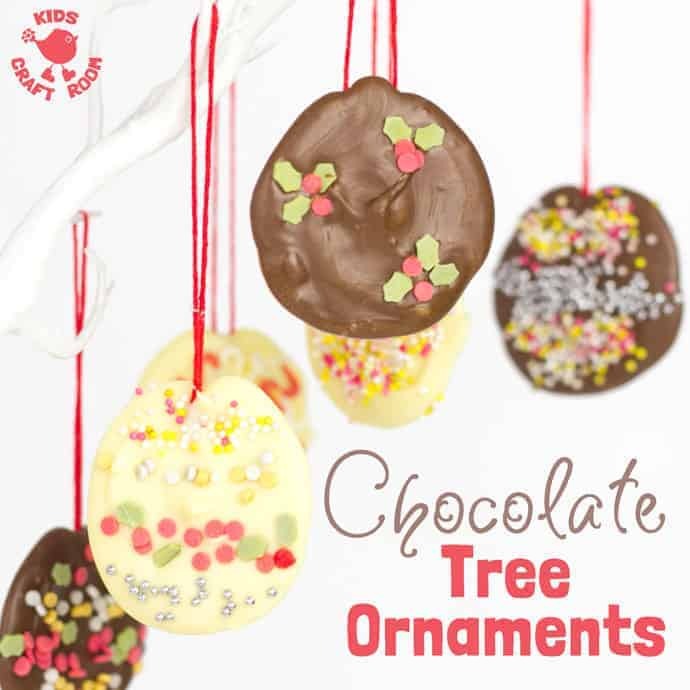 Wow chocolate tree ornaments…I’m sold! Fab idea. Thanks Julie. We have to wrap them up quick if they’re to last to the gift stage! Thanks so much. I loved your photo props too. Thank-you, I’m very excited about being a winner. Big congrats to you too, your cards were lovely. 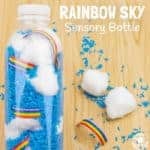 These are absolutely brilliant, I’d never thought of making something like this. Thanks Sally I’m glad you like them. I like them because they’re soooo easy! 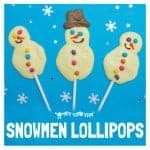 We also experimented afterwards with putting them on lolly sticks rather than string and that worked really well too. They support bigger amounts of chocolate which is always a good thing in my book! Guess what my kiddies are giving their friends for Christmas!